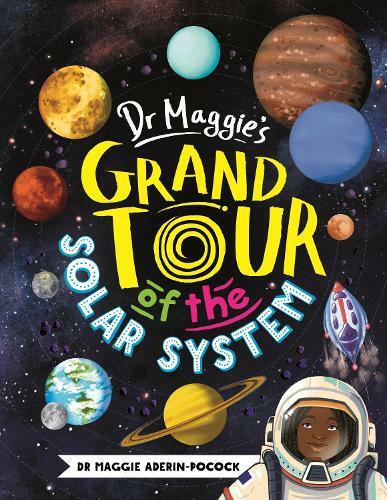 This mind-blowing book invites readers to join renowned space scientist Dr Maggie Aderin-Pocock (MBE) on an epic journey through the Solar System - visiting planets, moons, asteroids and satellites, and travelling to places where no human has been before. Along the way, kids can discover how we could live on Mars, learn about the hunt for a mysterious super-Earth, have a snowball fight on Mercury, climb the tallest mountain in the Solar System and much, much more. From spotting solar flares on the Sun to exploring objects at the edge of the icy Oort Cloud, this fun, action-packed title leaves no question unanswered and no meteorite unturned.